Bath Business School has developed its first Master of Business Administration (MBA) degree and is accepting final applications for its first cohort of students. The two-year part-time MBA Leadership at the school, part of Bath Spa University, has been designed to ensure students will graduate with the skills organisations need today. It is being delivered as part of the UK Government’s higher and degree-level apprenticeship scheme, which means that eligible businesses can fund the course using their existing contributions to the apprenticeship levy, with no cost to the individual. The course, which begins next week, will help students gain Chartered Management Institute (CMI) accreditation in addition to securing an internationally-recognised postgraduate management degree. A second cohort is due to start in September. Businesses in Bath paying the apprenticeship levy can use funds in their digital account to fund employees who undertake the MBA. Organisations that do not pay the levy will need to make a 10% contribution to the cost of the training, with the government paying the remainder of the fee up to the maximum amount available for that apprenticeship. Bath Business School dean Prof Georgina Andrews said: “Higher and degree-level apprenticeships are a great way for ambitious leaders to learn how to manage complex projects and programmes and develop creative and innovative solutions to some of the real-life business challenges they face, in turn helping them further their career and increase their earning potential. 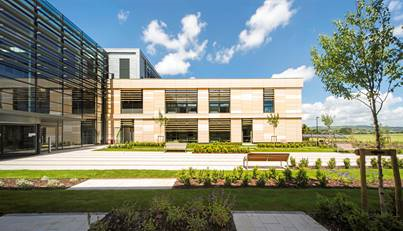 The Bath Business School MBA will be delivered over two years and students will be required to attend Bath Spa’s Newton Park campus, pictured, two days a month. Bath Business School was one of only six business schools in the UK last year to be shortlisted for the Times Higher Education ‘Business School of the Year’ award – regarded as the ‘Oscars’ of higher education.